Bardo Blues release date is set for Friday, May 3, 2019. This will be a Limited in theaters release. 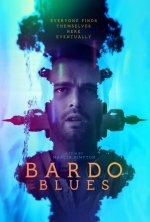 Set in Thailand, Bardo Blues follows Jack as he struggles to learn the truth about the mother that abandoned him and his own reason for existing. Weaving spiritual awakenings and soulful struggles, Bardo Blues will leave you questioning everything you think you know about who you are, where you came from and where you are going. This story is semi-autobiographical and based on Graham Kimpton’s real-life struggles with mental illness.